Joko Widodo is the current President of Indonesia serving in this position since October 2014. He studied hard and graduated with a degree in forestry engineering from the prestigious Gadjah Mada University in Yogyakarta. Eventually he entered politics and was elected to the position of governor of Jakarta. He proved to be very popular among both the urban and rural sections of the society, and rose through the ranks, eventually getting elected as the President. He commands great respect from the citizens since he is perceived as a clean and principled politician who understands the problems of the common people. 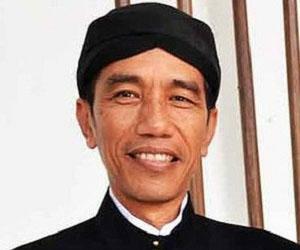 Joko Widodo was born on 21 June 1961 Surakarta, Indonesia, to Noto Mihardjo and Sudjiatmi Notomihardjo. He has three younger sisters. His family lived in illegally built shacks and was often evicted from their dwelling by the government. He received his primary education from the State Primary School 111, Tirtoyoso, which was a school especially meant for the poorer sections of the society. He also started working in his father’s furniture workshop when he was 12 in order to earn money to buy school supplies. In spite of all his difficulties he performed well at school. After completing his high school he enrolled at the Forestry Faculty of Gadjah Mada University where he studied the structure of wood, its utilization, and its technology. He graduated in 1985. He found a job with BUMN PT Kertas Kraft Aceh and was placed in Pinus merkusii forest plantation at Gayo Highlands. But he was not happy with this job and wanted to start his own business. He founded his own business under the name of CV Rakabu in 1988. Even though it was initially successful it had to be closed down due to fraud. Not the one to accept defeat so soon, he re-established his business and by 2002 became a very successful furniture exporter. He also served as the chairman of a local branch of the country’s influential furniture manufacturers’ association. In 2005, he decided to enter politics and ran for the office of mayor in Surakarta as a member of the Indonesian Democratic Party of Struggle. Initially people viewed him with skepticism as he was primarily a businessman with no political connections. He won the elections and soon proved his detractors wrong by initiating many progressive reforms in the city. As the mayor he earned much respect for his progressive reforms and his honesty which distinguished him from other politicians. He developed a rapport with the people as he had risen to this post from an underprivileged background, and thus could connect with people from all sections of the society. He often visited poor neighborhoods to interact with the people and refused to accept a salary for his public service. This greatly enhanced his reputation as a genuine person who cared about the public. He easily won the re-election in 2010 with over 90 percent of the vote and was made the mayor for a second term. In 2012 he decided to run for the position of Jakarta's governor. Widodo was contesting the election against the incumbent, Fauzi Bowo, and easily ousted him in the second round of that election. As the governor of Jakarta, he implemented many policies to encourage small industries and focused on improving Jakartans’ access to health care and education. He again proved to be a very efficient leader who empathized with the poor. He regularly visited the poor areas and talked to the people about the problems they faced regarding food prices, access to medical facilities, housing facilities, and infrastructural amenities. He wore simple clothes and followed a simple lifestyle which helped him in connecting with the common man. He implemented a universal health care program in Jakarta, based on a Healthy Jakarta Card (Kartu Jakarta Sehat or KJS) which became very popular. He also launched the "Smart Jakarta Card" in order to help poor students by giving them an allowance that can be withdrawn from ATMs in order to buy school supplies. The leader of the Indonesian Democratic Party of Struggle, Megawati Sukarnoputri chose Joko Widodo to be the presidential candidate of her party in 2014. His mayorship in Surakarta and his governorship in Jakarta had made him highly respected and popular all over Indonesia. He won the election with more than 53 percent of the popular vote, defeating his opponent Prabowo Subianto. He assumed office on 20 October 2014 as the 7th President of Indonesia. Widodo is the first Indonesian president who is not from the military or the political elite. As the president, he is focusing on curbing the corruption in Indonesian administration and is taking steps to attract more foreign direct investment to the country. He has also implemented land reforms, improved public services, and initiated healthcare and educational programs. After becoming the governor of Jakarta, he introduced a universal health care program, based on ‘Healthy Jakarta Card’. The scheme proved to be very popular. He was honored with the Bintang Jalasena Utama, 1st Class ("Navy Meritorious Service Star") in 2011 by the Government of Indonesia. He was honored with the 1st Class "Star of the Republic of Indonesia" (BRI), Bintang Republik Indonesia Adipurna in 2014. He was once ranked as the third best mayor in the world by the international City Mayors Foundation. He is married to Iriana and has three children: two sons Gibran Rakabuming Raka and Kaesang Pangarep, and one daughter Kahiyang Ayu. Kumpulan Biografi © 2012. All Rights Reserved.